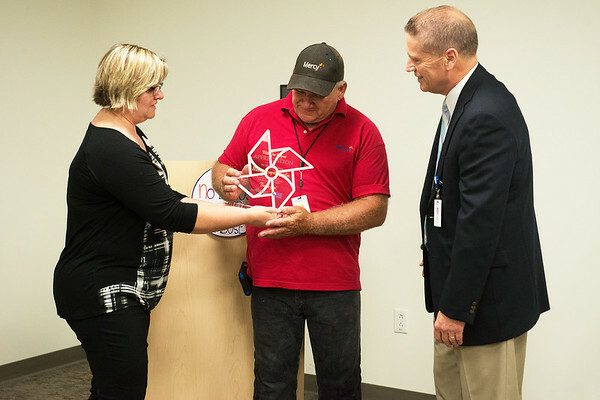 Jen Black, executive director of The Alliance of Southwest Missouri, shows the organization's appreciation of support during One April to Randy Dixon, painter at Mercy Hospital, and Gary Pulsipher, president and CEO of Mercy Hospital Joplin, on Tuesday at Mercy Hospital. The One April event sought to raise awareness and prevention of child abuse in the area. Dixon painted a large pinwheel on Mercy Hill in support of the event.